Long View Gallery Presents Anna U. Davis' "The Dance before the Kill"
In her first exhibition of works on paper, "The Dance before the Kill," Anna Davis continues her investigation of contemporary feminist concerns, this time giving form to the sexually charged hostilities that pervade both gender and race relations. Her new series adopts the pasodoble as a metaphor to contrast the fluidity of women's roles with the aggressive, prideful posturing of paternal authority. She has translated the gray Frocasian characters of her vibrant mixed media paintings into starkly black and white illustrations of entangled bodies. An amalgam of the terms Afro and Caucasian, Frocasian designates the artist's construal of Primitivism's noble savage and symbolizes the utopist aim to transcend identity politics. On paper, however, these figures lose their uniformly gray hue, underscoring their cultural oppositions and differences in appearance. This tension, along with the flamboyant garb and histrionic facial expression of each character, evokes the dance of the bullfight. Tuesday, June 1, 2010 at 7:00 pm. A live performance of Relocation Umbrella by Lina Vargas De La Hoz. Hamiltonian Gallery is now exhibiting a new three-person exhibition of paintings and installations by Hamiltonian Fellows Magnolia Laurie, Lina Vargas De La Hoz and Leah Frankel. By presenting physically binary relationships such as inside/outside and construction/destruction, each artist investigates exchanges of energies, and the ebb and flow of natural and social forces. Within her paintings and installations, Magnolia Laurie creates environments centered upon masses of broken, crooked lines that could resemble a dense, organized nest, the aftermath of a natural disaster or an architectural armature. Due to Laurie's manipulation of perspective and line quality, these structures are always just short of being logical. Magnolia Laurie's arrested jumble of lines, flags, plastic fencing, gusts of dusty wind and color all develop into a haphazard system that depicts the automatic, and sometimes incessant, obsessive human need to build and create. Magnolia Laurie relates this act of construction and destruction to the cyclical rise and fall of civilizations. Lina Vargas De La Hoz designs and creates objects that tenant, command, and address its surrounding space. One work, Pull Over 2, is composed of repurposed knit sweaters sewn together and stretched tautly across the gallery so that the neck and armholes are intact. We interact with the plane of sweaters by approaching it from underneath, and putting our heads and arms up through the holes where we can then see the top surface of the installation, and the heads and arms of the other participants. The expanse of blue sweaters cut through the gallery to create two literal and psychological spaces, analogous to above and under water, or penetrating borders. In Leah Frankel's installation titled (im)Balance, formed spheres of ice nestled in mounds of table salt are flecked throughout the gallery floor. Incontestably, the salt will melt the ice and the water will dissolve the salt, but in that process of cancelling each other out, themes of codependency and dominance emerge. Once the process ends, we are left with ambiguous, geological forms, which depict the results of the destructive exchange between these quotidian elements. 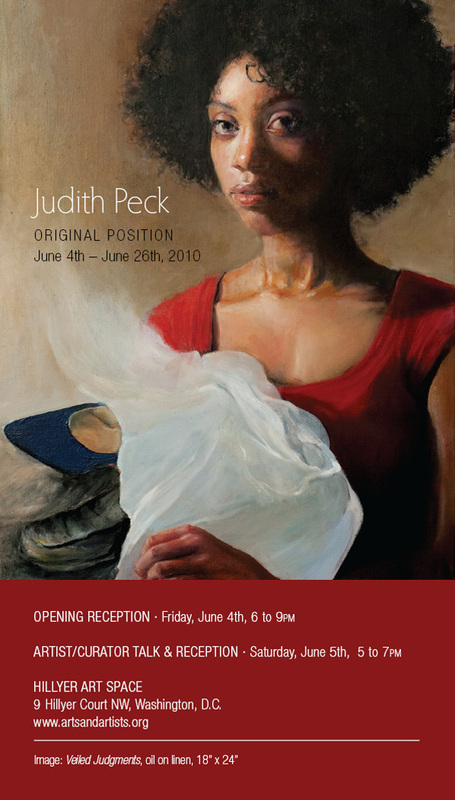 This exhibition runs from May 8, - June 9, 2010. Sustainability Lab back in action! On June 2, Brooklyn-based cultural worker Jeff Hnilicka returns to DC to continue Sustainability Lab at Transformer. Having just participated in Empire Builder - an epic train voyage to Portland, OR during which over 30 participants created guerilla public programs for fellow travelers while en route to Open Engagement, an initiative of Portland State University's Art and Social Practice MFA concentration (www.openengagement.info) - Jeff & Transformer invite DC audiences to participate in several new, interactive programs that continue to investigate emerging models of cultural production, the sustainability of these models, and their impact within communities. Please click here or visit Transformer's website to download a full schedule of Sustainability Lab activities in June. 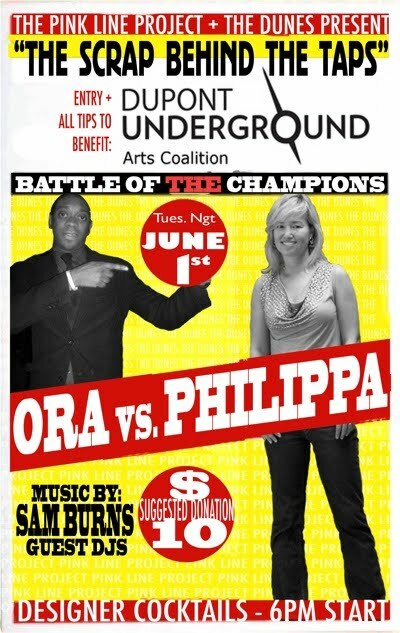 "Scrap Behind the Taps" Battle of the Champions: Ora vs. Philippa on Tuesday, June 1. With music by Sam Burns and designer cocktails starting at 6pm, it's bound to be a fun night! All entry fees and tips benefit the Dupont Underground Arts Coalition. "The Scrap behind the Taps"
Designer Cocktails start at 6pm sharp! Back by popular acclaim for a second exhibit, the Foundry Gallery presents the recent paintings of Ahmad Alkarkhi, a young Iraqi artist. Ahmad arrived in Washington in late August of 2009, a refugee from his beloved Iraq, ready to make a new life in America for himself, his wife, and two young children. He brings with him the richness and variety of expression that was so prevalent in the vibrant culture of Baghdad in years past. He worked there successfully until the end of 2006, when sectarian violence erupted and religious extremism became widespread. Playwrights, musicians, artists and intellectuals were targeted by militias. As intellectuals and artists began to flee, Ahmad joined them and traveled to Damascus where he awaited his family and filed papers for refugee status with the United Nations. While in Damascus, Ahmad's work was shown at several UN-sponsored exhibits as representative of Iraqi art. When they saw the quality of his work, the United Nations presented his papers to the U.S. Embassy and he was accepted as a refugee to the United States. 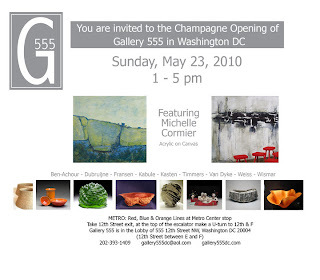 http://www.longviewgallerydc.com/artists.php?id=120The Crystal City Business Improvement District (BID) announces the opening of a new art exhibit at 2011 Crystal Drive. In collaboration with Congressman Jim Moran’s office, 68 pieces from An Artistic Discovery: The Congressional Art Competition for the 8th District of Virginia are located in Crystal City and available for public viewing. “We are happy to partner with Congressman Moran’s office to put these works on display in Crystal City,” Angela Fox, President and CEO of the Crystal City BID. “Art transforms spaces and places, which is what we are committed to in Crystal City. 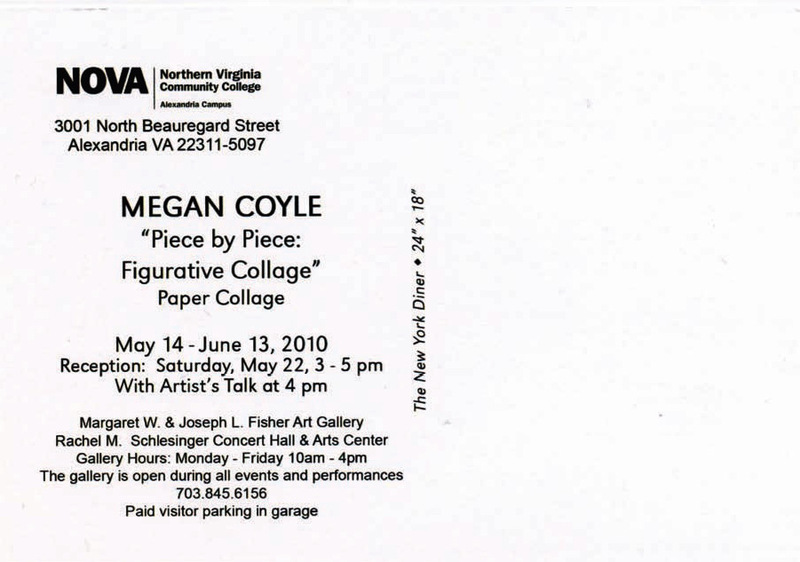 This show joins our Art Walls and other exhibits in celebrating that dedication.” The 68 pieces hung at 2011 Crystal Drive are a sampling of the 150 submissions received from students throughout the 8th District of Virginia. The remaining submissions are on display at the Arlington Art Center. Art enthusiasts can take a short walk from An Artistic Discovery to 2231 Crystal Drive to see the Luminous exhibit by artist Anne Marchand. Luminous opened in March and, by popular demand, has been extended through July 30. Inspired by the combination of colorful images taken by the Hubble Space Telescope and mystical poetry, Marchand’s use of mixed media, acrylic and incorporation of texture and translucent passages of paint help create a moving and reflective exhibition. 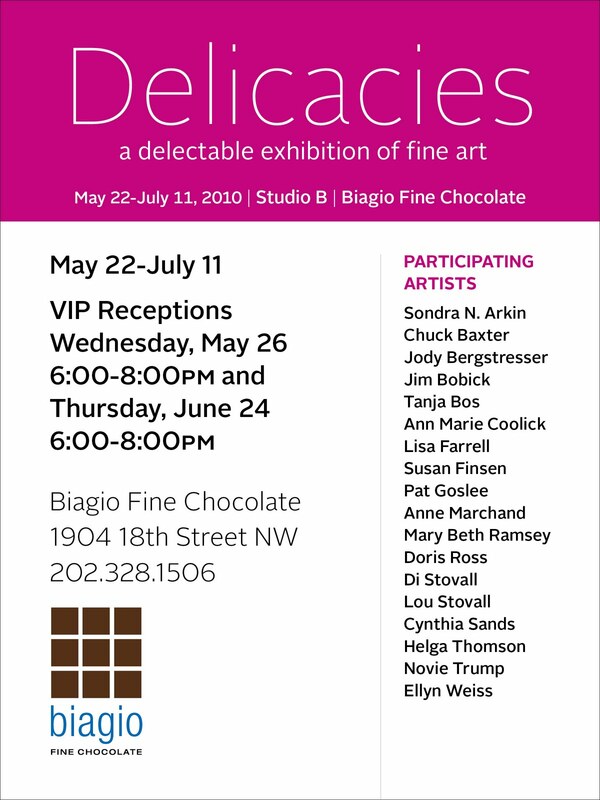 Artistic Discovery and Luminous add to a growing collection in Crystal City’s Art Walls gallery. Visitors can take a stroll around Crystal City to view other notable works from local artists that are installed throughout Crystal City. These works infuse color and character into the area while leading to fun, whimsical, and interesting spaces for Crystal City’s guests, residents, and employees. Finally, for the remainder of the summer “Bucky Art” statues will be on display on the streets of Crystal City. Inspired by R. Buckminster Fuller’s geodesic dome, the statues add to the excitement surrounding Arena Stage’s upcoming presentation of R. Buckminster Fuller: THE HISTORY (and Mystery) OF THE UNIVERSE. A map showing the locations of Crystal City’s Art Walls and “Bucky Art” is available at www.crystalcity.org. Deadline: July 5, 2010 – Monument Music & Arts Festival, The Affinity Lab & DFK invite artists to submit work for an exhibition and auction of art to be held July 15th at the Affinity Lab on U Street. Free Food, Free Beer, Live Music, and high-class art. This is an international call and is open to all working in wide variety of media, including ceramics, glass, painting, photography, printmaking, and sculpture to exhibit and sell. Washington Project for the Arts presents the WPArade, an extravaganza of artists connecting with community to create a moving visual spectacle of art and culture. Artists, performers, musicians, and visual arts organizations will come together in Washington’s first Art Parade to display moving art, floats, placards, portable sculpture and street performance along Half Street SE. Starting at M Street SE, participants will traverse the stretch of Half Street SE to N Street SE, stopping midway along the route for performances. The WPArade will culminate in a celebration at The Bullpen at the corner of Half Street SE and N Street SE. NOTE: It's not too late to enter the parade as an artist/performer. Contact Kristina at 202-234-7103 x 2 or kbilonick@wpadc.org to find out how to participate. Joan Belmar, Cameron Petke, and Marie Ringwald. 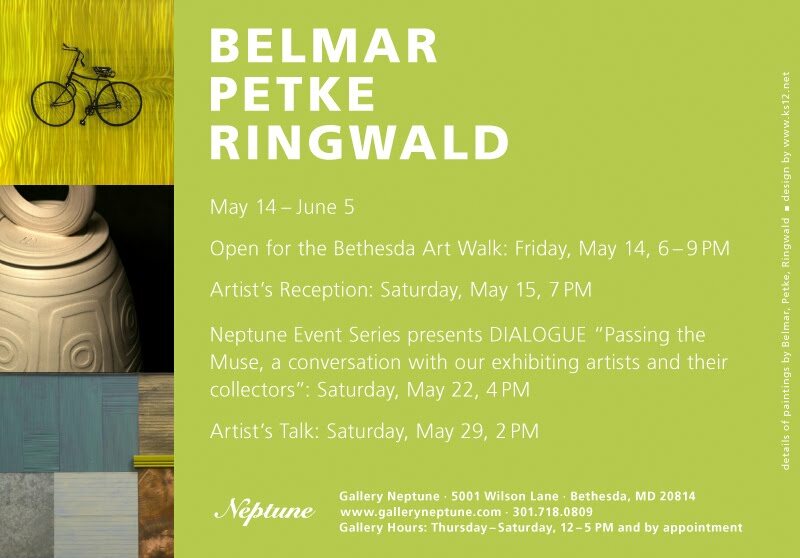 The gallery is a five minute walk from the Bethesda Metro, on the red line. Public garages in Bethesda's downtown are free on Saturdays and Sundays. Today Govinda Gallery published their first online catalogue, Sapphographs: Donovan. This publication celebrates the opening June 1st of Donovan's exhibition at the Hellenic American Union in Athens, Greece. Go to Govinda's blog at: http://www.govindagallery.com/category/blog/ and see the catalogue at: http://govindagallery.com/donovan-sapphographs/. Washington Project for the Arts teams up with George Washington University and journalist Kriston Capps to lead a for-credit course on arts journalism. 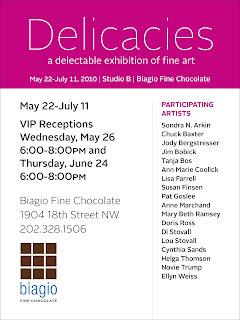 Students will write about and engage with the DC area arts community, blogging about area artists, exhibitions in galleries, museums and their ideas about contemporary art at www.bluffjournal.com. The course will conclude with the printing of long-form journalism pieces for an original print publication, produced by the class. Visit http://bluffjournal.com to read all posts! 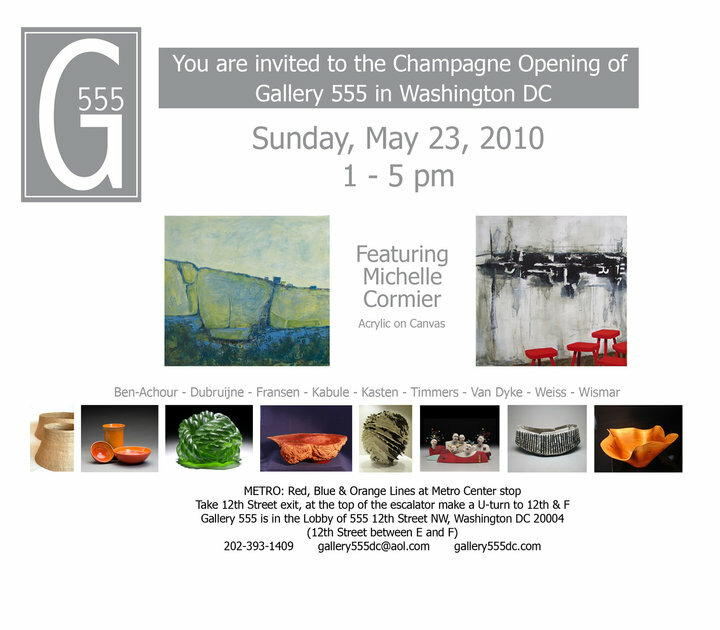 Gallery 555 had a great opening on Sunday with artists Michele Cormier and others. Take a look at the pictures by clicking on photo. You can still my work in Crystal City, VA. The "Luminous" exhibition at 2231 Crystal Drive has been extended through July 30. The exhibit is open to the public during the building hours. Crystal City is accessible by metro. 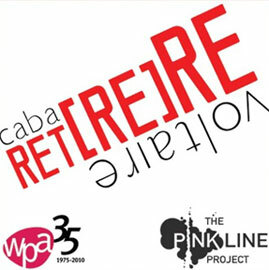 Washington Project for the Arts and The Pink Line Project present Cabaret [re]ReVoltaire, curated by Alberto Gaitán for four evenings of art, poetry and performances. Cabaret [re]Revoltaire celebrates the historic Cabaret ReVoltaire series that was presented by WPA in 1992. Stay tuned for food vendors and menu. afternoon barbecue with food by Smokey, the H street Legend! *This event was funded in part by Poets & Writers, Inc.
Anarchy in the Kitchen/Umami Festival 2010, Artists' Bloc collective, Jeff Bagato, Holly Bass, Bob Boilen, Bradley Chriss, Matt Dibble, Dody DiSanto, Edgar Endress, Sal Fiorito, Chris Griffin, Happenstance Theater, Ruben Jackson, Melissa Krodman, Linda Lewett, Asa Osborne/Zomes, B. Stanley, Silvana Straw, Jeff Surak, and Maida Withers. Stay tuned for additional performers and nightly schedules. BierGarten, Dangerously Delicious Pies, and Smokey's Famous Barbecue. Stay tuned for additional food vendors and nightly menus. 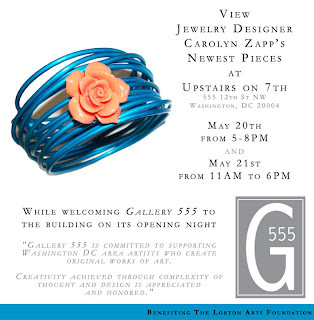 Gallery O/H is located at 1354 H Street, NE near the intersection of H Street and 14th Street, NE DC. It is a 15 minute walk from Union Station Metro and quickly accessible by bus by taking the X2 Metro bus from 7th and H in Chinatown or the free H street shuttle also departing regularaly in the evenings from Chinatown Metro. 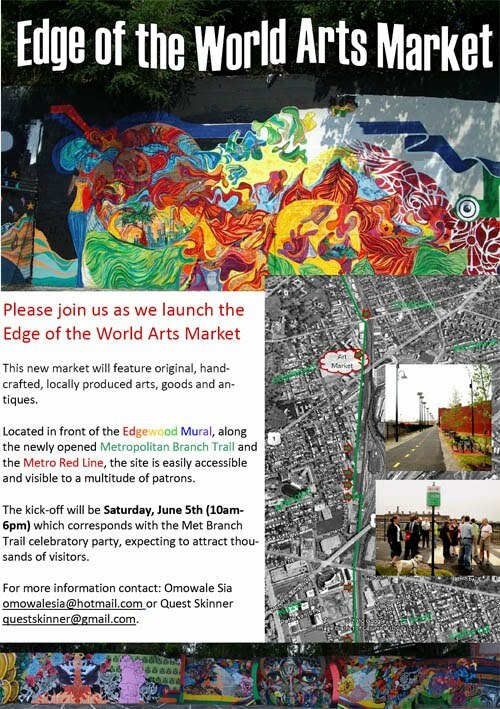 There is a new art market sprouting in the Edgewood Neighborhood in Northeast DC. 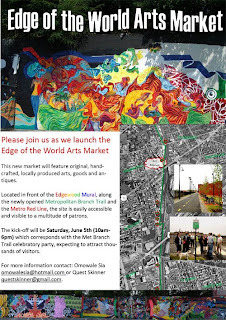 It is the home to "From Edgewood to the Edge of the World" mural. The neighborhood is changing daily. With the new trail that connects the place with the rest of the city for the bikers and pedestrians, more and more people visit the neighborhood from the surrounding areas. On June 5th, there will be an official trail opening event, so there will be a lot of people in the area. Take advantage of it to market your artwork! Tents provided on June 5th on first-come first-serve basis until supplies last. Sign up soon to reserve the best spot! Schedule: Area opens at 8:30 for set up. All vehicles must be removed by 9:45 (can be parked in the adjacent parking lot). With 14 films representing a wide range of genres, from comedy to drama, from documentaries, to shorts and feature length films, there is something at the Festival for everyone. All of the films will be screened at Landmark’s E Street Cinema. After the screening, Director Rigoberto Perezcano and Producer Edgar San Juan will hold a Q & A session. Andres travels from Oaxaca to Tijuana to cross the US border. Things don’t result as planned and he has to stay in Tijuana where he starts working in a grocery store. There, he meets Elia, Cata and Asensio. What Andres finds in Tijuana makes him think about what he’s about to do and become aware of what he’s leaving behind. Norteado talks about the illusion that the United States represents for those who decide to cross the border searching for a better life. Artists participating in Isolation speak about their artwork and how it relates to the theme of the exhibition. Meet and mingle with this group of artists working in various media and subject matter. Moderated by Shira Farber of Hemphill. Isolation artists include Andrew Bain, Jason Falchook, Kate Hardy, Max Hirshfeld, Tanya Marcuse, Mingering Mike, Lisa Noble, Sharon Sanderson, Noelle Tan, Rob Tarbell, and Paul Vinet. watercolor on paper, 14" x 10"
New series starts June 2 in DC! Legal Issues for Creative Entrepreneurs is a series of five workshops for creatives of all kinds who want to take the next step in their professional career by creating their own businesses, gaining a deeper understanding of copyrights and trademarks, contracts and licensing, the art of negotiation and tax strategies. Explore the basics of forming a business for your creative endeavors, from deciding whether to incorporate as a non-profit or for-profit entity. Gain a better understanding of copyrights and trademarks, the contracts and licensing, learn effective negotiation skills, and the ins and outs of tax strategies. Each workshop will be presented by knowledgeable professionals with practical experience working with artists and creatives in the field. This series of workshops is being offered in collaboration with THEARC. The sessions will take place on Wednesday evenings beginning June 2, from 6:30 to 8:30 at THEARC, 1901 Mississippi Ave., SE. WALA members and members of THEARC who preregister get FREE admission to these workshops! Non-members pay $25 per session. Register by emailing info[at]thearcdc.org. Since 1983, Washington Area Lawyers for the Arts has supported artistic expression and creative innovation by serving the legal needs of Washington, Maryland and Virginia’s arts and cultural communities. with an artist/curator talk and reception on June 5th. The work in this exhibit was inspired by John Rawls theory on justice as fairness. Mid City Artists Open Studios coming up. The Georgetown Gallery Gaze returns on Friday, May 21 from 5 to 8 p.m. Every third Friday of the month, participating Georgetown galleries open their doors with extended hours, art, music, libations and nibbles. This month, patrons can enter to win a special "Gallery Raffle." Stop by any of the participating galleries and enter to win one of many "artsy" items. Details. Civilian Art Projects presents the second solo exhibition of artist Ryan Hill. In "SuperFacial," Hill continues his process of exploring the contemporary cultural imagination through found images and word associations. In addition to works on paper, he further indulges his curiosity and welcomes the viewer into his imagination by exhibiting a related wall collage of ephemera, photographs, drawings and textworks, and a video collaboration with DC area experimental filmmaker Rob Parrish. An essay by Ian Svenonius will accompany the exhibition. The Fab Faux will return to Washington, D.C. for the fourth year in a row, with a May 22nd concert at Lisner Auditorium. The May 22nd event, a presentation of HK Entertainment, will feature a ‘Glorious Hodgepodge’ of Beatles music, as The Fab Faux are joined by Creme Tangerine Strings and Hogshead Horns. For those of us who never got to see The Beatles in concert, we're fortunate to have The Fab Faux dedicate themselves to faithfully recreating some of the most extraordinary music ever written. Lisner Box Office, TicketMaster, 202-397 SEAT. The Fab Faux brings together the talents of five of New York's most respected musicians: Will Lee of Late Show with David Letterman, Jimmy Vivino, formerly of The Tonight Show with Conan O'Brien, Rich Pagano, who has performed with Rosanne Cash and Ray Davies, Jack Petruzzelli, who has toured and recorded with Joan Osborne, Patti Smith and Rufus Wainwright, and Frank Agnello, whose musical credits include Phoebe Snow, Marshall Crenshaw and Joey Molland of Badfinger. The Fab Faux are now in a league of their own, consistently performing music that The Beatles themselves never played live. Beginning with a pair of concerts at Webster Hall in late ‘07, the band has reached a new level of fan support as well as media awareness, with growing coverage including ABC-TV World News Tonight with Charles Gibson, NPR, Rolling Stone, Associated Press, Reuters Newswire, NY-1 News, The New York Times, NY Post, New Yorker, NY Sun, Hollywood Reporter, Time Out NY, The Nation and much more. BALTIMORE, MD (May 19, 2010) -- Governor Martin O'Malley announced that 97 Maryland artists have been selected to receive Individual Artist Awards totaling $247,000 from the Maryland State Arts Council, an agency of the Maryland Department of Business and Economic Development. A reception honoring the artists will be held at the American Visionary Art Museum in Baltimore on May 20, 6:30 p.m.
"The Individual Artist Awards program is an excellent way for the State of Maryland to recognize the accomplishments of its many talented artists," said Governor O'Malley. "By bestowing these awards, we are recognizing the vital role the arts play in our communities, enhancing the quality of life for all Maryland citizens." Artists competed for $1,000, $3,000 and $6,000 awards in the following categories: Fiction, Media, Solo Dance Performance, Solo Musical Performance, Solo Theatrical Performance, and Visual Arts: Digital/Electronic Arts, Painting, and Works on Paper. Artistic categories alternate each year. Applications for 2011 will be available at www.msac.org in June. Congratulations to Joan Belmar, Carol Brown Goldberg, and W.C. Richardson and all the award recipients of the MARYLAND STATE ARTS COUNCIL FY 2010 INDIVIDUAL ARTIST AWARDS. 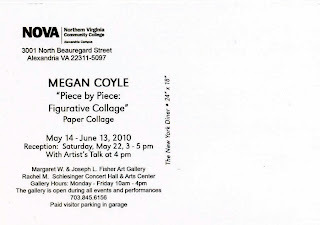 For more information about the Maryland State Arts Council visit the MSAC web site at www.msac.org or call (410) 767-6555. The Stamp Gallery presents Humor Yourself, an exhibition featuring the illustrations of local artists John Shipman and Rachel Bone, who combine whimsical, dreamlike images and concise, illustrative styles. Humor Yourself playfully explores the potential of illustrations to enhance our otherwise common perceptions of the world. These undisguised pieces—surreal but concrete, fantastic but minimal—take a rational approach to their irrational subject matter. By engaging viewers with their acute humor and sharp irony, these pieces invite the audience to focus their imaginations on single fanciful moments in order to make connections between illusory subjects and the precise, fastidious manner in which they're portrayed. If you don't believe the disparity between fantasy and reality can be reconciled, these works dare you to fill in the gaps. Go ahead. Humor yourself. The Stamp Gallery is located on the first floor of the Stamp Student Union on the campus of the University of Maryland, College Park. The gallery is free and open to the public Mondays-Thursdays 10:00am – 8:00pm; Fridays 10:00am – 6:00pm; and Saturdays 11:00am – 5:00pm. For more information please visit the gallery’s website http://thestamp.umd.edu/gallery/ or call (301) 314-8493. Continuing to explore themes introduced through Sustainability Lab (May 1-8; June 2-12), Transformer is proud to introduce the DC debut of Cornfield (May 13 - May 29, 2010), an installation and performance piece by artist Nancy Bannon. Manifesting a life-size, fabricated cornfield within Transformer's project space, audiences are invited to consider uses and preservation of natural resources. Cornfield is a visual work consisting of a wall-to-wall field of seven-foot tall, sculpted corn stalks made of painted wood, wire and visqueen, along with projections and a surrounding soundscape. During intense performances, three live performers within the cornfield echo the depletive qualities of the giant corn monoculture that is consuming America's agricultural tradition. Audiences directly experience the performances from within the installation at close proximity to the actors. To download a pdf of the full Sustainability Lab/Cornfield press release, please click here. Twice yearly, the artists in the neighborhood between Dupont and Logan Circles invite visitors into their studios. Plan your visits in advance by flipping through the artists' pages online to see what you like, who is new, and who is participating. Download the map to plan your route in advance and guide you along. Check out business supporters and view Mid City Artists' exhibits in their shops. *Individual studio locations and hours vary. For a complete artist list, schedules and downloadable map visit the MCA Website. The exhibition examines the history, culture, and art of Afro-Mexicans, beginning in the colonial era and continuing to the present day. Highlights of the exhibition include discussions of African slavery in Mexico and the hero/slave rebel Yanga; artifacts related to the traditions and popular culture of Afro-Mexicans; and paintings, masks, photography, and other works of art. 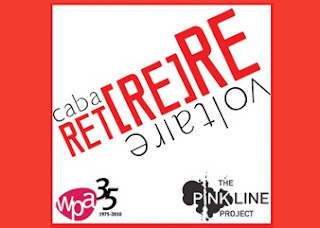 Do NOT miss the second installment of Cabaret [re]ReVoltaire! Last Monday's sold-out cabaret event was full of unforgettable performances, absurdity, and great food and drink. Check out the lineup below. And be sure to buy your ticket online beforehand since they are going fast! Govinda Gallery announces the upcoming exhibition Sapphographs by Donovan opening on June 1st at the Hellenic American Union in Athens, Greece. 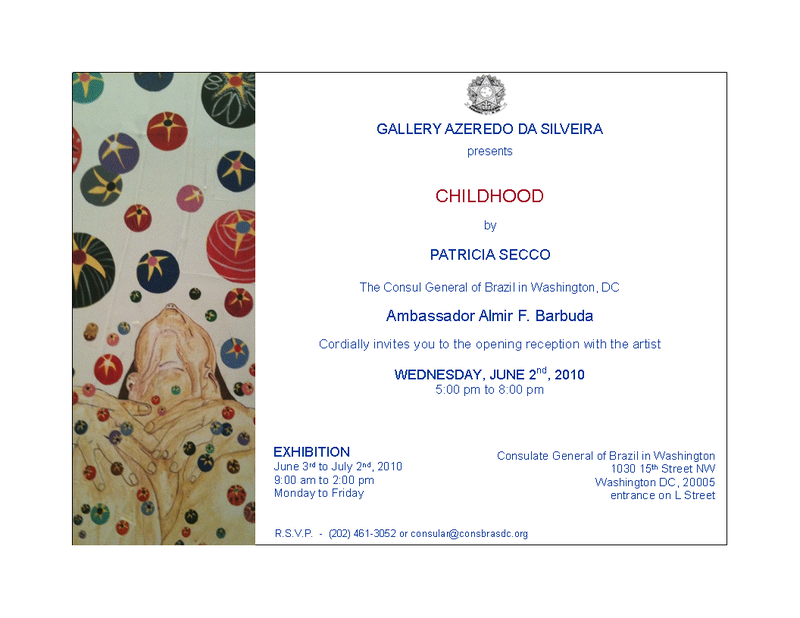 This exhibition is organized in collaboration with Harvard University’s Center for Hellenic Studies and Govinda Gallery in Washington, D.C. The exhibition’s curator is Christopher Murray. An online catalogue is being published for the exhibition. The large format works on paper are being produced by master printers Adamson Atelier. Here is a link to the announcement for that exhibition. "Space / Place" opens this Saturday, May 15th, from 5-7 PM, at the 39th Street Gallery in the new Gateway Arts Center in Brentwood, MD. The show presents the work of painter Matt Klos, draftsman Matt Woodward, and photographer Andrew Zimmermann. The work of each of the three artists presents a different concept of space and of how that space is used to describe a particular place. Opening reception Saturday, May 15 from 6 to 8 p.m.
Coble's performance begins at 2 p.m. and ends during the reception and focuses on the significance of water. Conner Contemporary Art announce two concurrent solo exhibitions featuring new video and photographs by Janet Biggs (New York, NY) and performance and video by Mary Coble (Washington, DC). Nobody Rides for Free is Biggs' first solo exhibition with the gallery; Source marks Mary Coble's third exhibition with the gallery. 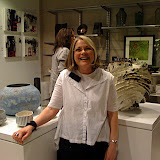 This "open studio" will feature the full range of Dana Ellyn's artistic output from the past 10 years. Included will be some classics from 2009 "Blasphemy Show" and the recent 2010 "Wedding Show". As well, you will be able to get a sneak peak paintings from Dana's upcoming "Banned Books" solo exhibition. Entertainment has held a position of helping people cope with the everyday drudgery of life. The Game show, moreover, offers both the value of entertainment and a promise at a chance of making life better. Loosely based on Franz Kafka's The Trial Jophen Stein's latest series The Gamies explores the idea of systems that are in place but not fully understood. From the exhilaration of winning to the disappointment of losing The Gaimes is a look into the bipolar effects of game shows as entertainment. Free Symposium: Friday, June 4th, 1pm - 5 pm. *for social workers, art therapists, counselors) The Symposium is suitable for mental health consumers, family members, mental health practitioners, artists, and the general public. Washington Project for the Arts is pleased to present the sixth Experimental Media Series, a screening series of innovative video and sound works. The Experimental Media Series was created to showcase the new media work of exceptional and under-recognized talent and provide a venue for experimental media in the Washington, DC area. Since 2006, EMS has presented the work of over 150 artists, including Julia Oldham, Stefanie Barber, Stan Brakhage, Paul Chan, Herman Asselberghs, Miranda July, Jose Ruiz, and Champ Taylor. All video and sound artists are invited to submit one recent work that is no longer than 5 minutes, exploring any subject matter of their choice. From the received submissions, juror Paul D. Miller will create a selection of video and sound works to be presented in a series of public screenings. Artists whose work has been selected for the screening programs will be notified during the first week of November. Additionally, two artists submitting the most compelling entries, based on overall quality and originality as determined by the juror, will be awarded the Kraft Prize for New Media of $750 and the WPA Experimental Media Prize of $750 on January 20. Please note that the WPA Prize will go to an artist living and working in the Mid-Atlantic region. Paul D. Miller aka DJ SPOOKY is a composer, multimedia artist and writer. His written work has appeared in The Village Voice, The Source, Artforum and The Wire amongst other publications. He also produced material on Yoko Ono's recent album Yes, I'm a Witch. 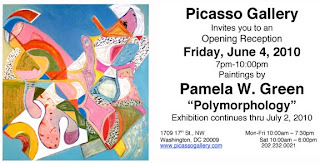 Paul D. Miller is represented by Irvine Contemporary in Washington DC. Reception, Saturday, May 22nd from 3-5p.m. Artwork from recycled magazines - "painting with paper"
of German as a Foreign Language, as well as a wide-ranging testing program to prove proficiency in German. FotoGalerie, the Goethe-Institut Washington’s exhibition space, is an ongoing showcase for the work of young German photographers. In Our Time – Photographs by Anne Lass is on display through the end of May. Next up: an annual favorite, winning works from Germany’s annual graduate photography competition, gute aussichten: new german photography 2009/2010, will be on display June-August. View the Goethe-Institut Washington’s full schedule of cultural events. Artists participating in Isolation speak about their artwork and how it relates to the theme of the exhibition. Meet and mingle with this group of artists working in various media and subject matter. Moderated by Shira Farber of Hemphill. Isolation artists include Andrew Bain, Jason Falchook, Kate Hardy, Max Hirshfeld, Tanya Marcuse, Mingering Mike, Lisa Noble, Sharon Sanderson, Noelle Tan, Rob Tarbell, and Paul Vinet. Open Studios in the Gateway Arts District – Mt. Rainier and beyond. Boozer, Ani Kasten and more), Flux (Novie Trump, Laurel Lukasczewski, Mila Kagan and more). And lots lots more. Just 2 blocks from the DC line. 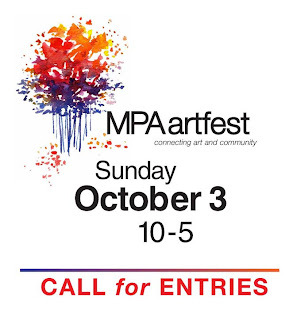 MPAartfest is a one-day juried fine art and craft show and sale featuring the work of 40 local and regional visual artists. 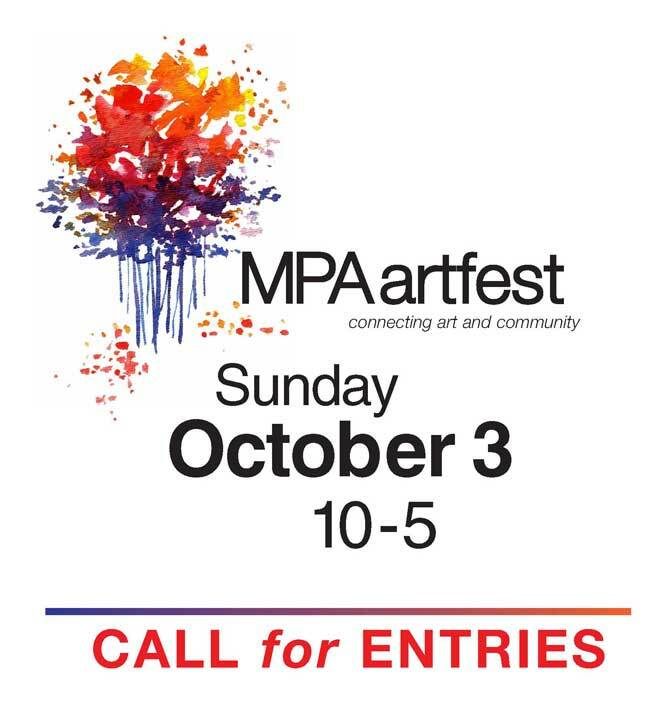 McLean Central Park will reverberate with the sights and sounds of art and music on Sunday, October 3rd at the 4th annual MPAartfest. Last year’s event drew 6,000 art and music devotees. 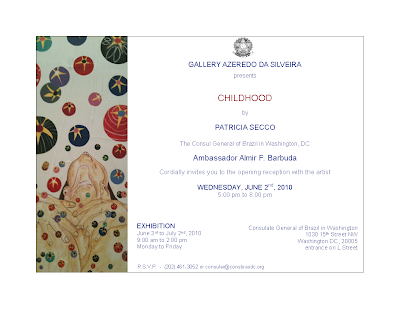 From May 3-July 31 the Mandarin Oriental Gallery at 1330 Maryland Avenue SW, will showcase 55 pieces of student art from DC Public Schools (DCPS). The Mandarin approached DCPS in an effort to partner with their neighboring schools, the end result is a full exhibition of art work from 11 schools in various mediums including oil and acrylic paintings, watercolors and 3-D forms. This art show is a victory for arts education. In 2007, many DC public schools did not have access to regular arts instruction --and now, three years into the reform effort all schools have art and music teachers. 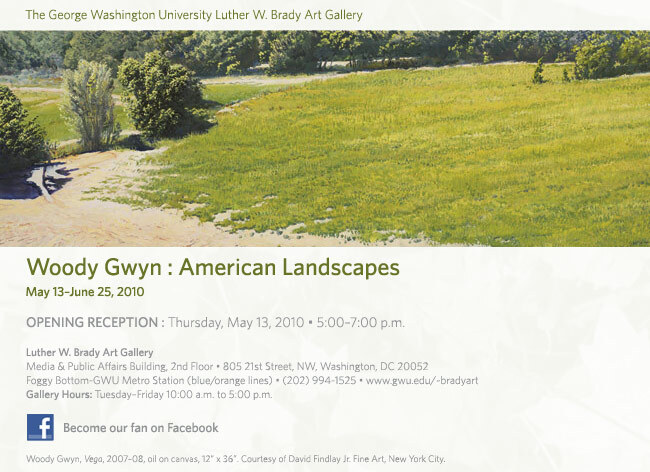 View a slide show of the art here: DCPS Student Exhibition - Spring 2010. 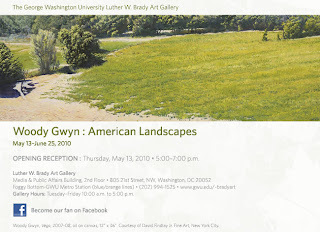 Woody Gwyn: American Landscapes will feature paintings of landscapes in California, New Mexico and in Virginia alongside remarkable drawings and watercolors from Hawaii and the West. Bound together, these plein air studies are a veritable history of his sketches from 1995-2005. Joan Belmar’s art alternates between paintings on paper to structured acrylic paintings using Mylar and acetate. In his structured paintings, Belmar adheres closely arranged perpendicular strips of Mylar to a back surface and then places a parallel translucent painting on the front of the art. By keeping the front painting simple and in focus, the Mylar strips create optical illusions of blurring the image when viewed from the side instead of the clean uninterrupted view straight on. These optical illusions mirror Belmar’s thoughts. The artist compares his work to the physical stability we recognize in our lives which can easily become blurred or disrupted by an emotion which is not stable, thereby temporarily altering our reality. Cameron Petke spent a year producing a comprehensive exploration of the aesthetic and acoustical variables involved in making clear-ringing contemporary ceramic bells. Influenced by the classical beauty of marble sculpture, Petke fashions his bells with porcelain clay which is finely sanded and left unglazed to mimic the surface quality of polished stone. Similar to the outer-inner symbolism portrayed in Joan Belmar’s structural paintings, Cameron Petke uses the bell as an artistic object that retains the solidity of its form as it rings with the purity of an ephemeral vibration. Marie Ringwald returns with new layered wood and metal constructions through which she continues to exercise her interest in store front and warehouse facades. As she simplifies various geometric compositions and carefully balances color, texture and reflective light, Ringwald produces elegant pieces engaging us through her direct, honest responses to architecture and design. The exhibit will feature “Patchwork Warehouse in Black and Silver” an impressive example of carefully edited work, which results in a fine minimal palette using steel, wood and tar paper. Matt Klos’ “Looking Back”, 50” H x 35” W, oil on canvas, 2010. Andrew Zimmermann’s “Untitled – 41”, 10” H x 8” W, silver gelatin photograph, 2008. Matt Woodward’s “Michigan Avenue III”, 90” H x 88” W, graphite on paper, 2008-2009. 39th Street Gallery and the Gateway arts center presents an exhibition that explores the peculiar ways in which sense of space and sense of place are linked together. Each artist works in a traditional medium but uses that medium atypically in order to present a particular concept of spatiality and of place. While they are linked to one another by their desire to show something deeper and more complex than the straightforward visual appearance of their subjects, all have a distinct and nuanced vision that enriches and complements the others. The Gateway Arts Center at Brentwood is a new visual arts center located at 3901 Rhode Island Ave., Brentwood, MD. Gateway Arts Center is a vibrant arts center that not only provides visual artists with a functional and safe work space, but an Arts Center that encourages programming that engages the neighboring community and the other artists in the Gateway Arts District. The Maryland State Arts Council launched its new website - http://www.msac.org. The dramatically redesigned site represents the council's commitment to broad communication and service to the general public as well as to artists and arts organizations. The homepage welcomes visitors with a new design that features six tabbed sections, rotating images of artwork and arts activities, and easy access to key programs such as County Arts Councils, Maryland Traditions, Arts in Education, and Arts & Entertainment Districts. An expanded News & Media section provides quick access to arts council news and media releases, the monthly electronic newsletter and fact sheets. And the Grants & Programs sections offers quick links to each program and a navigation menu that helps visitors find the programs that pertain to their needs. Light refreshments and Orient Express cocktails will be served. If your in NYC this week, come by and see me at the exhibition opening! This spring, fine art and interior design will intersect in New York's famed Chelsea neighborhood, as Cheeky Living, LEPERE and Raandesk® Gallery of Art present Art & Living: Emerging Interiors. The show, which will open Thursday, May 13th at the LEPERE showroom, is a unique collaboration between interior designer (Cheeky Living), showroom (LEPERE) and art gallery (Raandesk® Gallery of Art), and will pair the work of emerging international artists with sleek, modern, European furnishings. Curated by interior designer and Cheeky Living founder, Karen Chien, Art & Living: Emerging Interiors will showcase furnishings from European design houses including: ABR (Spain), Artelano (France), EMU Re, (Spain) Limited Edition (Belgium), Parri (Italy) and ABR (Spain) alongside a selection of painting, sculpture, photography and mixed media works. Raandesk® Gallery of Art, owner Jessica L. Porter selected seven artists that would complement the LEPERE aesthetic including: Juan Astica (Buenos Aires), Andrew Maglathlin (Massachusetts), Anne Marchand (Washington D.C.), Teresa Pereda (Buenos Aires), Matej Sitar (Slovenia), Laura Viñas (Buenos Aires) and Roy Wiemann (New York City). 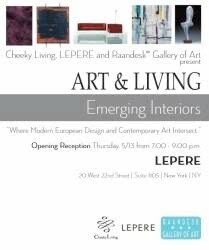 Art & Living: Emerging Interiors will be on view from May 13th through July 5th at LEPERE showroom, located at 20 West 22nd Street, Suite 1105, New York, NY with an opening reception on May 13th from 7 - 9 PM. An interactive musical experience with Yoko K.
Followed by a conversation with Dr. Martin Irvine. Abstract Realities brings together 6 contemporary artists, working in a variety of media who explore reality with abstract presentations. It is the first exhibition of DCAC's 2010 Curatorial Initiative. Industry Gallery will open "If I told you one time ..." May 15, 2010, 6-8PM, the first solo U.S. exhibition for New York-based designer Chris Rucker. The exhibition will run through July 3, 2010, and features 10 limited edition works and one installation all created during the past nine years. An all-media juried exhibition that features work made by women artists from across the country. Click here to view the artwork online. The Art League Gallery hosts the reception for Classical Realism, New Works featuring paintings by Teresa Oaxaca and Curves, an exhibition exploring the human figure. Classical music duo Picolloboe will perform from 6:30-8:30pm in the gallery. Cornett's work begins with words—often short stories, operas or fairytales. But once she begins painting or drawing, she ceases thinking in terms of written or spoken language and allows her subconscious to dictate the content and direction of her work. She enjoys the contrast between very precisely executed drawings of people and objects and their improbable juxtaposition. In this juxtaposition of characters and objects, Cornett explores the uncertain and the illogical in life through her pastels and her drawings. "Eventually, something clicks. I aim to create work that is evocative whose meaning is ambiguous. As in life, there is more than one truth, more than one answer and in my work there is more than one narrative." Flashpoint Gallery presents Marc Roman’s Veritas Obscura, an exhibition of text and found images layered to form a timeline depicting the century of the electron. Veritas Obscura will feature Roman’s signature process: mounting photography, drawing and painting with resin to give sculptural form to traditionally two-dimensional techniques. Successive layers of text and images enhance – or cancel – former creations, adding physical depth while creating a multi-layered narrative. Spanning the entire parameter of the gallery, the works reflect scientific discoveries such as x-ray technology and the theory of relativity. Conspiracy theories are entertained alongside hard science, giving equal weight to ideas that are born out of amateur speculation and formal, peer-reviewed ideology. The timeline culminates with an examination of the Large Hadron Collider, the world’s highest-energy particle accelerator built to facilitate the study of the fundamental building blocks of our universe. Veritas Obscura is Roman’s first solo exhibition in Washington DC. 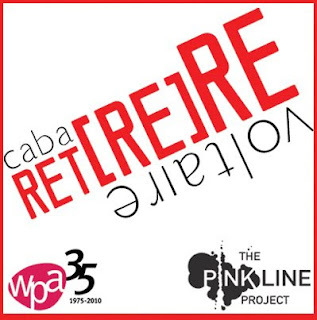 Cabaret ReVoltaire series that was presented by WPA in 1992. Go HERE for more info about the program and how to buy tickets. Greater Reston Arts Center (GRACE) has an exciting line up of unique aerial artistry performances, talented musical entertainment, and engaging children’s activities for the 19th Annual Northern Virginia Fine Arts Festival will take place on May 15 & 16, 2010 from 10 a.m. to 6:00 p.m. in the heart of beautiful Reston Town Center. The arts festival is the largest, top-rated annual art festival in the Washington metropolitan region, attracting over 50,000 patrons from across the region and provides an interactive experience to view, purchase, and experience art directly from the unique and talented artists featured. The festival will offer plenty to see, taste, hear and do - from hand crafted, one of a kind artwork, a host of live musical and visual performance arts, artist demonstrations, acclaimed children’s activities, and superb food and refreshments. This year, GRACE has expanded its partnership with the Reston Community Center to present the renowned aerial arts company Arachne Aerial Arts. The company will bring a set of unique aerial art performances to the streets of Reston Town Center. The performance features three aerial duets by Arachne Aerial Arts as dreams complimented by inspiring aerial theater performances by In-Flight Theater. http://www.in-flighttheater.com. This performance will take place on a large installation called The Tower and will occur under the Reston Town Center Pavilion. Saturday & Sunday – May 15 & 16, 2010, 10 a.m. – 6 p.m. Rain or Shine. Preview Night Party: Friday, May 14, 7:00-10:00 p.m. Tickets required. Admission to the event is free however a voluntary donation of $5 is requested. In addition, $10-off certificates redeemable at a dozen Reston Town Center restaurants will be offered in exchange for a $10 donation to the GRACE. Donation proceeds benefit year round educational and outreach programs produced by GRACE. 1 - 6pm: HIT BOOK! Workshop. Join HIT BOOK! co-founder Jeff Hnilicka and fellow artist members of Hit Factorie (Brooklyn, NY) Sarah Sandman, Jenn Nielsen, and Kate Strathmann in the creation of a Sustainability Lab book at Transformer. Created by a group of Brooklyn-based artists, designers, chefs, arborists, and administrators, HIT BOOK! originated as a collaborative effort to create a book in one day. Each book is inspired by a timely theme like Freedom, DNC/RNC, Spring!, and Stimulus. Working diligently on a small but dutiful photocopy machine, each participant cuts & pastes, creating one or more letter size page. Once deadline approaches, the crew rush into full assembly line production mode and pump out a hot HIT BOOK!! All contributors left standing receive a copy of their efforts. Participants are encouraged to bring in source materials for photocopying (typography, photo, nature books and magazines, etc. etc.). Transformer will provide other necessary materials + snacks & libations. EXHIBITION HOURS: Wednesday - Saturday, 1 - 7pm & by appointment.